Why Should Students Join FCRA? 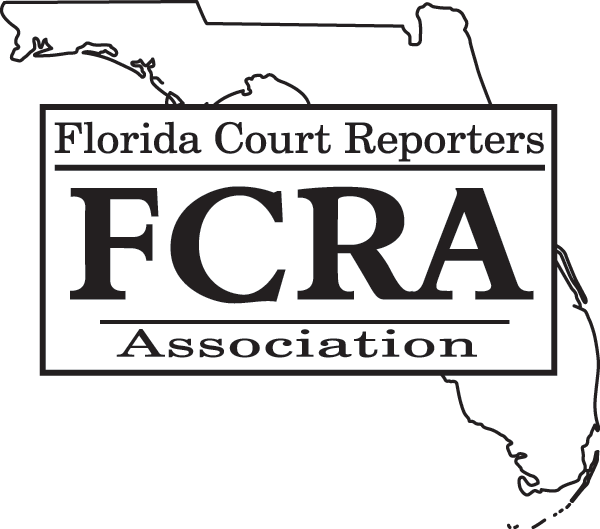 FCRA presents this one-day video seminar, which will cover Florida’s Rules of Court as they apply to court reporters in depth, as well as showing how the NCRA Advisory Opinions apply. This is the class we all wish had been available in court reporting school. This year in Naples, the FPR seminar will be presented in a streamlined video format rather than by a live panel. FCRA experimented with this video format in small groups earlier this year and found it to be a successful and effective delivery method for the FPR. We would like to see if the same will hold true in a large-group setting. Presenters will be on hand for live Q&A sessions during the seminar. We will be asking for each participant to provide feedback at the end of the seminar by completing a survey. Your feedback will be extremely important as we endeavor to improve on the consistency and quality of this seminar. For this pilot presentation, we are dropping this year's convention FPR rate to these new low rates: MEMBERS: $149 for seminar w/ exam, $99 for refresher course without exam. NONMEMBERS: $399 for seminar w/ exam, $349 for refresher course without exam. Your textbook will be the FCRA Florida Manual – over 600 pages of how-to information. An electronic copy of this manual will be sent to you prior to the class and by the end of the class you will have an intimate familiarity of this manual and how to use it. All information will be presented to you in classroom format. This is not an open microphone discussion session as our ethics seminars have been. In order to convey as much information as possible, this will be a highly organized presentation. Starting with the historical background of all transcript formats from the Federal Rules, we will guide you through the maze of Florida’s Rules of Court. We will show how those rules apply to your role and responsibilities at all types of proceedings. We will show you how to apply NCRA’s Advisory Opinions to your daily reporter life. Then we’ll take you step by step through to completion of the transcript. We will cover the various kinds of depositions, sworn statements, arbitrations, examinations under oath, independent medical examinations, and court proceedings. We’ll show you why you put what information where, what is required, and what is prohibited. You will learn the Florida mandated transcript formats and how to apply them to your transcript. You will be guided through records pickups and how the Federal HIPAA Act impacts your performance of this routine assignment. For this group of people, the better they are at their job the more invisible they become. For the Record takes us into the world of the usually unnoticed court reporters, live captioners and CART providers. Captioner Dee Boneau trains to challenge rock star court reporter Mark Kislingbury, verified by Guinness Book of World Records as the "fastest court reporter on Earth," as he aims to beat his own speed record and write 400 words a minute. From a group of dedicated captioners who worked around the clock on 9/11 to ensure those with hard-of-hearing were kept informed, to Stan Sakai, a young CART provider redefining the craft for the next generation, For the Record takes us beyond the traditional idea of a court reporter and into the lives of the "keepers of the record." This Town Hall Meeting is devoted to our Membership’s future as well as the future of our profession. Bring your questions, concerns, and great ideas about the present and future of the court reporting profession and how FCRA can stay out ahead in this ever-changing industry. Our panel will consistent of our FCRA President, Immediate Past President, and Members of our Government Relations Committee. Do you feel complacent being forced down the lazy river of life when there are Oceans of Opportunity awaiting you? In this panel discussion, we will hear from this year’s convention speakers and legends, Anissa Nierenberger, Alan Peacock, and Tori Pittman, along with FCRA Immediate Past President Lori Bundy, as they share their stories and experiences and give helpful tips and advice on how they transitioned from “this” to “that.” They will inspire you to grow and expand into another phase of your career so that your next adventure will be smooth sailing. In this seminar, Alan Peacock will present and discuss waves of information with realtime macros that can aid the busy reporter. Alan will also give a live demonstration on the big screen and show you how his favorite realtime macros work to make riding those waves a whole lot easier. Do not worry - the class is not software specific. All macros demonstrated are available on all CAT systems. So come on along and dive into the deep end of the tide while having fun learning how to use macros in the realtime environment, for CART, captioning, and realtime court reporting. Interested in shorter editing time to crank out transcript? Get ready to spin 180 degrees from how you do things now and save time and energy on editing transcripts. Anissa will talk about the value of word pieces and how to make stacking work for you. This is one seminar you do not want to miss! Transcripts… do you despise them? The growth for CART and captioners is growing. This seminar starts with 5 things to improve your realtime. Thinking of transitioning your career? It starts with one step at a time. Reinvigorate your passion today! Click here to find out how to save $100 on membership dues!